Here’s an article on homeschooling from The Nut Graph which features the usual suspects ;-). We this is series or articles gives a better overview of the state of our education system and the options available. HOME schooling began in Malaysia about 20 years ago, and is today done by between 500 to 1,000 families or more, estimates KV Soon who home schools his three children. 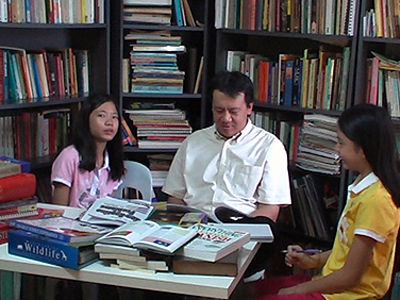 Even though home schooling is only done by a minority of Malaysian children, practitioners say it is a growing trend. Exact numbers are unknown though since no census of home-schoolers has been attempted. Still, the trend towards home schooling suggests that there is continued disillusionment with the national education system. Common complaints include undue emphasis on academic achievement and lack of personal development. What it boils down to, home schooling parents feel, is the quality of teachers in national schools and the confines of a structured system that allows for little creativity and development of life skills.